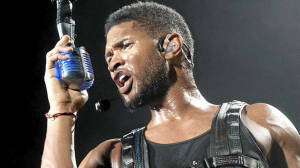 *Usher has been on tour for a while and all has been going pretty smoothly, until Friday night (Dec. 10). He tweeted on Saturday morning some sad news. “Norfolk – the concert tonight is postponed due to an injury from last night. Pls read more at http://usherworld.com,” Usher tweeted. The official post said that he had to cancel the performance due to an injury the previous night. Is his barber on strike or something? What’s up with that hair? !